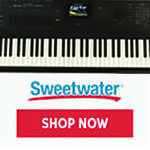 Register Log In Piano World Home Page Forums Digital Pianos - Electronic Pianos - Synths & Keyboards Beginner piano ensonic kt76 or yamaha p45? I am looking to get a piano for my daughter who wants to learn piano. I can't spend too much, there is an ensoniq kt 76 for $249 and a yamaha p45 for $349 locally. Between those two which would you choose or do you have an alternative for under 300. Your final cost will depend upon the accessories that come with it. You say nothing about …. furniture stand, bench, music stand, headphones, etc …..
Those are things that sometimes are included or not included. They make a big difference in final cost to get ready to actually play. Here would be my suggestion for a good option ….. I have the PX-160 and it is not junk. Pretty nice sound and keyboard. The Ensoniq is not a piano. It's some old synthesizer with only 76 keys, albeit weighted apparently and no speakers. Ignore it. If it has to be cheap, you can also have a look at Casio's CDP models, new or used. They are not great, but they are "piano like". At Jeff's price point, if it is a strict limitation, I would suggest finding a used model which has 88 fully-weighted (hammer action) keys. Something like this, but with shipping. 1) learn piano playing as a competitive sport? Then this site has lots of information about the required mechanics of it, key weight, competitions to enter, etc. 2) learn piano as an introduction to art and self-expression? In that case head elsewhere. 3) something else: e.g. to keep up with friends or the proverbial Joneses from across the street? Do not ask prospective piano teachers. None of them have any experience playing and learning on the new portable battery-operated keyboard instruments that allow e.g. practicing outdoor. At Jeff's price point ... I would suggest finding a used model which has 88 fully-weighted hammer-action keys. When buying new ... under $300 gets you nothing but junk. But a used $300 piano might once have been a decent new $600 or $1000 piano. 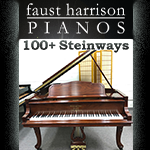 Looking at that one website, i could finance a piano and would be willing to spend up to 500. What would be better, to get a digital new piano or a real used piano that would need tuning and maybe some other repairs? Someone showed me this guide. Really good. Helped me a lot. I am pretty sure that you will find something good of you dig deeper. I am not a pro for headphones, but I think at the start of the journey there are quite enough good options that cost like 30-50$ or smth. Bench and Stand are equally not that important I think. You can also easy upgrade them whenever you want aswell (Birthday present or when your daughter starts going to the roof with the amount of playing). But as someone stated earlier, you should know what your daughter wants. If she is serious about playing and someone who has a high frustrationtolerance, sticks to stuff she begins etc. 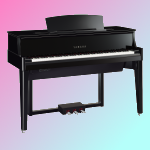 , you might even consider a digital piano of a class thats a little bit higher and comes closer to a furniture piece with build in speaker etc. How old is your daughter if I may ask. I would recommend you to dig through the article that I linked you above . Last edited by Dunyele; 12/06/18 04:36 PM. The Ensoniq KT 76 was released in 1994, so the design is 24 years old. Don't buy it. It's a programmable synthesizer/ workstation -- a poor choice for a beginning piano student. will be fine. 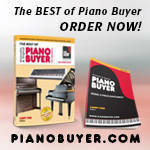 They are recent basic "digital pianos", good quality and not likely to fail. Get headphones - very useful! GuitarCenter.com/used probably has some, with prices as a guide. As she's just a beginner and you don't want to spend a ton, my advice would be search on line for the above keyboards, find one that fits your budget or literally is just the cheapest or has financing you like, and get that one. Thank you. I will look at those models. My daughter is 13. She already plays cello,violin and ukulele. She wants to expand into a different string instrument. What would be better a digital piano or a real one with strings? Last edited by Jeff texas; 12/06/18 11:25 PM. OK - she likes music, and has some background in it. A piano isn't really a "string instrument", by most definitions. The best description I've heard is that it's a "tuned percussion" instrument. You strike a key, a note comes out. Strike a different key, a different note. Not much different from a set of bells, or a xylophone. In the "string instrument" sense, it's like a harp (where the strings are plucked by fingers) or a cembalon (hammer dulcimer). You can learn to play an acoustic piano (with strings) by practicing on a DP. And vice versa. So they're closely related.
. . . But they're not exactly the same instrument.
. . . It's always in tune, so you don't have to pay anyone to tune it (once yearly, at a minimum).
. . . You can move it around (inside and outside the house) _way_ easier than you can move an acoustic piano.
. . . If it's a "slab piano" on a stand, you can (in a pinch) store it vertically in a corner, or under a bed.
. . . You can put on headphones, and play silently, if other people are disturbed by your practicing.
. . . . . harpsichords, etc). So, in a pinch, they can stand in for those instruments. 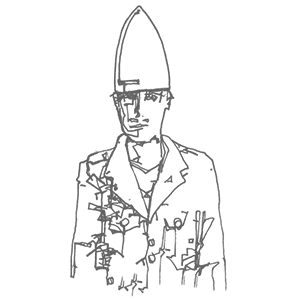 The thing they can't do -- yet -- is _exactly_ match the feel, or sound, of an acoustic piano. They'll let her play the same music, but it'll sound just a bit different. I'll let others defend the acoustic . . . . They boot up fast and they always sound like a real piano. Even including all the mechanical noises like pedal squeaks and everything. And the volume is fixed at a realistic level. They even allow modifying all the parameters like unison tuning, hammer hardness, playing feel etc., although using a professional is recommended and it can be time consuming. I can't imagine though that a $500 piano (OP mentioned that as budget for piano) would be as feature rich as the one you are describing. A $500 used piano might come with alternative features, like time-varying detuning, etc. The Yamaha P125 is the successor of the P115 and is fine as well. I went ahead and ordered the yamaha p125 with pedals. Thanks for the help.